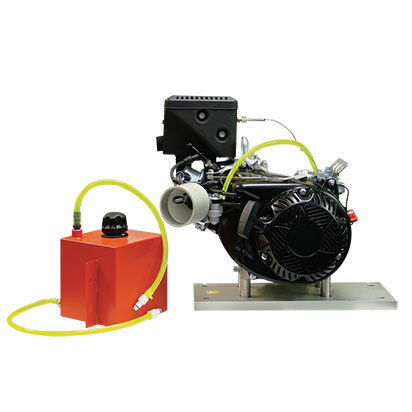 A versatile engine test bed with instrumentation to provide the facilities to investigate the operating characteristics of single-cylinder and four-stroke internal combustion engines. 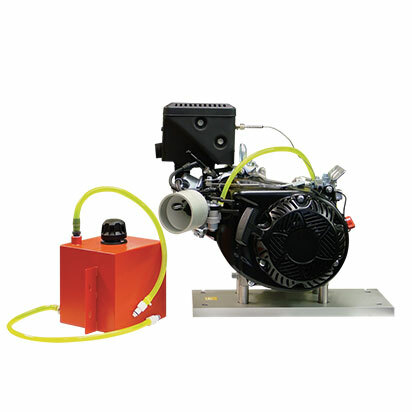 A versatile hydraulic engine test bed with comprehensive instrumentation. The equipment requires minimum services, installation and outlay. 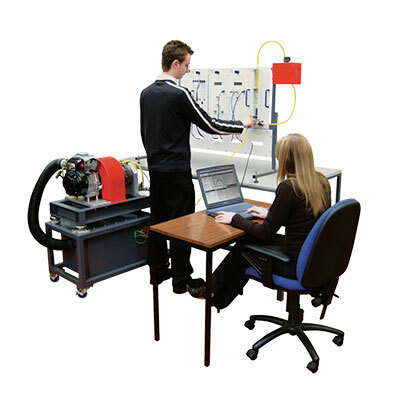 When used with one of TecQuipment’s optional single-cylinder engines, it safely and effectively enables study and demonstrations of the most important features of the engine. In addition, optional ancillaries are available to extend the range of study, demonstrations and investigations even further. The equipment is fully compatible with TecQuipment’s Versatile Data Acquisition System (VDAS® available separately). Using VDAS® enables accurate real-time data capture, monitoring and display, calculation and charting of all relevant parameters on a computer making tests quick and reliable. The bed sits on a trolley for portability. It includes a robust, precision-machined, trunnion-mounted hydraulic dynamometer. A significant advantage of using a hydraulic dynamometer is that no large electrical supplies are required as the engine power is dissipated into the water used to load the dynamometer. The dynamometer applies load according to the flow rate and level of water in the casing. An accurate needle valve controls the flow rate and level. An electronic load cell measures torque. 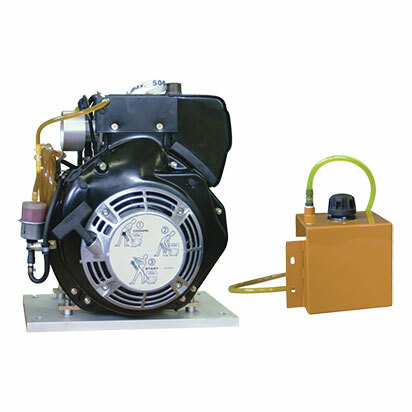 The engines (available separately) are supplied pre-mounted on a sturdy precision base plate. When the engine is initially mounted onto the test bed or exchanged with an alternative engine, dowels and slots locate the engine quickly, accurately and reliably. To enable students to measure air flow, an air-box and orifice plate are located underneath the engine bed on the trolley. The instrumentation is mounted on a sturdy frame. The frame has a single power inlet and several power outlets to supply the various display units (either those provided as standard or those provided as optional extras). The instrumentation and test bed are separate in order to avoid vibration being transmitted from the engine to the measuring devices. 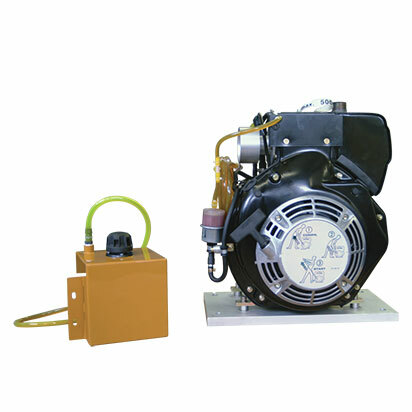 The engines (available separately) include an exhaust thermocouple, dynamometer coupling, hoses and fittings. TecQuipment can also supply the engines with pre-modified cylinder heads and cranks for connection to TecQuipment’s Engine Cycle Analyzer (ECA100 available separately). Each engine includes a colour-coded fuel tank with self-sealing couplings. The couplings ensure the engines can be connected and disconnected quickly and efficiently with minimum loss or spillage of fuel. For convenience and safety, the fuel tank can be removed for filling or for storage in a fuel locker when not in use. Removing the fuel tank also prevents unauthorized use of the equipment.